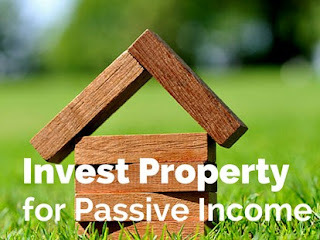 This article will focus on the reality phase, specifically,'the investment property mortgage requirements.' Since the housing bubble and great recession, mortgage lending requirements have'tightened.' New laws (primarily Dobb Frank Act) have made lending requirements standard, regardless of the mortgage broker or financial institution who writes your loan.' Ultimately, all loans will be securitized by either Fannie Mae and Freddie Mac. I have detailed below their current requirements. The Fun ' Searching properties and negotiating the deal. The Reality ' I am under contract and I need to pay for this property. The Work ' Managing and maintaining the property. The Payoff ' The sale of the property after years of mortgage amortization and property appreciation. Mortgage note quantities: Fannie Mae allows only 4 total'notes, including a primary residence, while Freddy Mac allows 6 total notes. Mortgage type: All investment properties require convential loans and will not qualify for FHA (Federal Housing Administration) financing. Debt to income (DTI): The maximum allowed DTI is 45%.' DTI is your total'monthly debit obligations'divided'by your total monthly gross income (before taxes).' Generally, income from investment properties are calculated at 75% of total income.' Please note, losses on a property'shown on'your taxes'will void that'properties total income. Cash reserves: 6 months principle and interest of your primary mortgage and all investment properties.' 401K savings can be used to meet these requirements. Down payment: '15% minimum with PMI (private mortgage insurance).' However, many'PMI providers will not insure investment properties.' Therefore, it is best to plan on 20% down. PMI'amount: PMI amount will vary depending on DTI, credit score and down payment.' With 15% down you should expect a yearly cost of about .5% of the loan amount.' PMI is not required when 20% down payment is provided. Mortgage rate: Mortgage rates for investment properties are generally .5% to 1% above the current convention loan rates. Documentation:'Bank statements from the last two calendar months, 2 paycheck stubs from the last'2 calendar months, last 2 years of tax returns,'proof of reserve funds, mortgage statements and'insurance declaration for all of your properties that current'have mortgages.' The underwriter always has the right to request additional information, but the above is'usually'all that is required. Mortgage requirements and laws are always being amended, and I encourage you to discuss the investment property mortgage requirements with a local mortgage broker or bank.' Good luck on your investment and enjoy the financial rewards of being a landlord.